Over recent years, General Tire has revised its range of tyres for passenger cars and vans to suit UAE requirements. The brand now offers three models to meet various needs. The Altimax Sport has been developed for drivers prioritizing precise handling and short braking distances. The Altimax Comfort, meanwhile, majors on smoothness, high mileages and low rolling resistance – but not at the expense of excellent safety standards. Rounding off the range is the Eurovan line-up. This tyre model for small commercial vehicles and vans is the safe and economical option when transporting people or goods is the order of the day. The General Tire Altimax Sport has been developed specially to deliver precise handling and short braking distances on wet and dry roads. To this end, the summer tyre has wide, circumferential tread grooves with open shoulders, which allow it to drain water away quickly and provide short braking distances even in wet conditions. Stiff outside shoulder blocks have been developed to transfer steering commands to the ride precisely in dry conditions. Their stability and stiffness offer unbeatable handling at low or high speeds and on twisty roads. General Tire uses an advanced silica tread compound to enhance grip on wet roads and reduce rolling resistance. Added to which, the asymmetrical Altimax Sport features the Visual Alignment Indicator (VAI), which checks the tyre is wearing evenly, and the Replacement Tire Monitor (RTM), which indicates when it is ready for replacement. The Altimax Sport is produced in 70 different versions and can be specified for wheel rims measuring 14 to 20 inches in diameter. 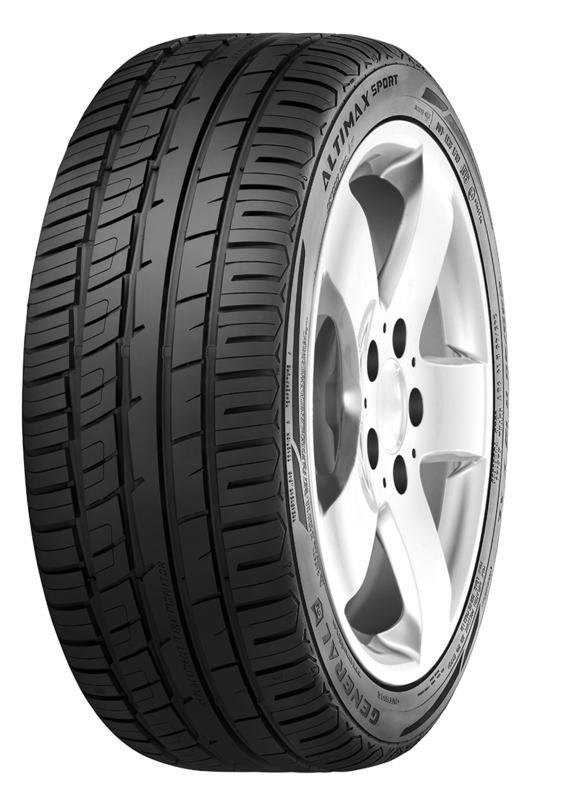 The new General Tire Altimax Comfort is geared to drivers who value a particularly quiet tyre specializing in comfort. With this in mind, the General Tire engineers have designed a tread whose blocks make contact with the road in a staggered sequence and therefore develop and maintain a low level of harmonious road noise. At the same time, they have also placed great importance on the tyre’s safety attributes. For example, the Altimax Comfort – which has a low-rolling-resistance silica compound designed to deliver impressive wet-weather grip – features laterally arranged sipes, which quickly disperse water out through the tread grooves when driving in the rain. The asymmetrical tyre has stabile blocks on the outer side of the tyre on which the tyre can effectively “rest” when driving through corners. This provides a high level of steering precision. Wide tread ribs in the center of the tyre are designed to create the largest possible contact patch under braking and on straight sections of road, ensuring precise straight-line stability and short braking distances. 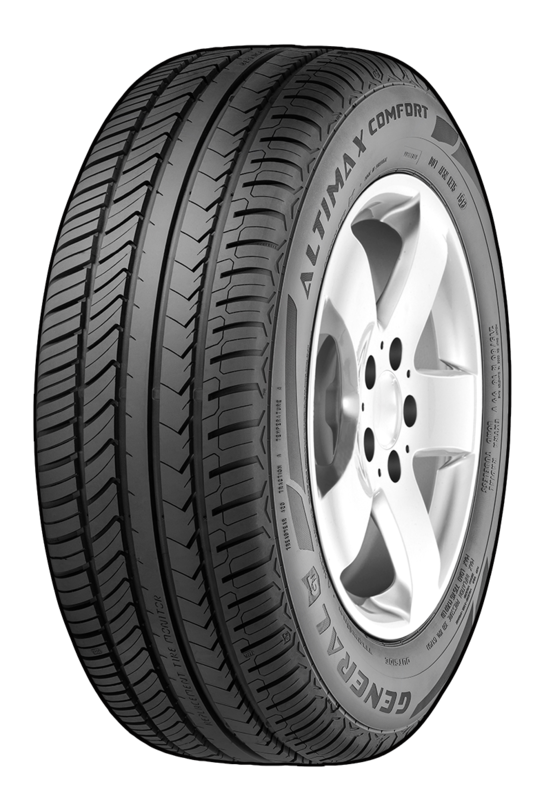 The Altimax Comfort likewise comes with the Visual Alignment Indicator (VAI) and Replacement Tire Monitor (RTM). It is produced in almost 50 versions for wheel rims measuring between 13 and 16 inches in diameter. 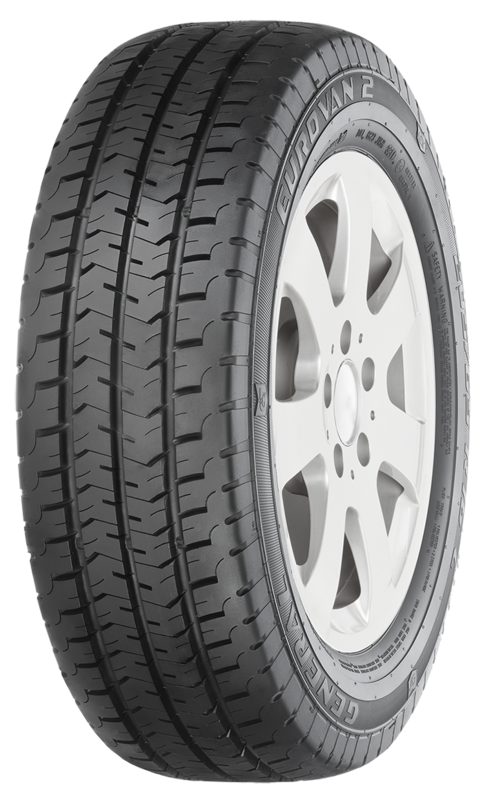 The Eurovan 2 is a robust tyre offered by General Tire for small commercial vehicles. Its trio of deep drainage grooves can hold a large amount of water when driving in the rain and quickly channel it away from the contact patch through wide grooves between the outer tread blocks. As these grooves between the outer blocks have a staggered arrangement, road noise remains pleasantly low, as frequency peaks can be avoided. And the Eurovan 2 also ensures fine straight-line stability and short braking distances, thanks to its wide, solid rows of tread blocks in the center of the tyre which transfer longitudinal and lateral forces safely onto the road. An additional layer of rubber in the sidewall gives the Eurovan 2 exceptionally robustness. The high-mileage tyre for small commercial vehicles and vans is produced for wheels with diameters between 14 and 16 inches. It is designed to work with loads of up to 1,150 kg (LI 113), depending on the size specified.